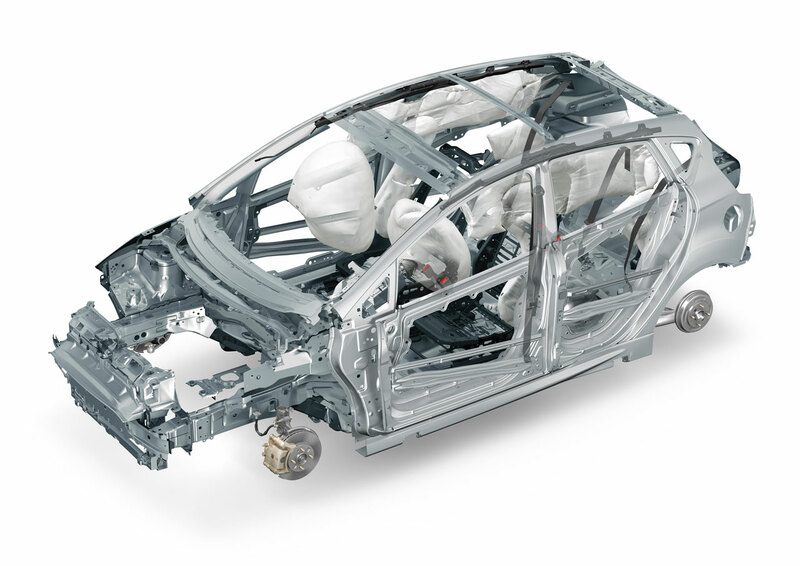 Over 50% of the new 2011 Ford Fiesta’s body structure is constructed out of lightweight, incredibly high-strength Boron steel. The use of Boron Steel is borrowed from Volvo. However, the super steel compound was only used in select key areas, including the Fiesta’s floor structure, front rails and beams, and the integrated “body-side reinforcement.” Essentially an extremely complex roll cage, the primary structural components of the body-side reinforcement include the slim A-pillar, the intrusion-resistant B-pillar, the rocker panels to which the B-pillar is fixed, the stabilizing rocker baffles, side roof arch and the lower A-pillar.